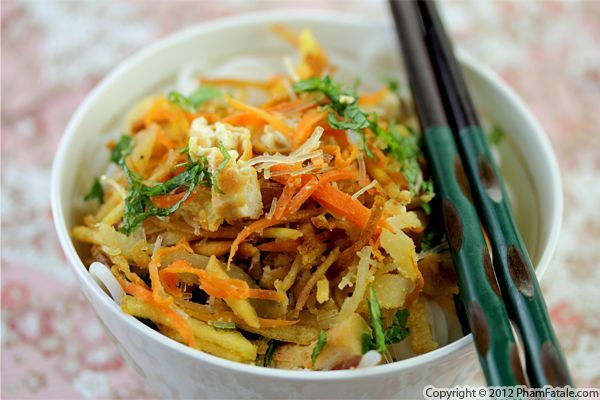 If you're looking for tasty Vietnamese vegetarian food, this bì chay recipe is just for you. 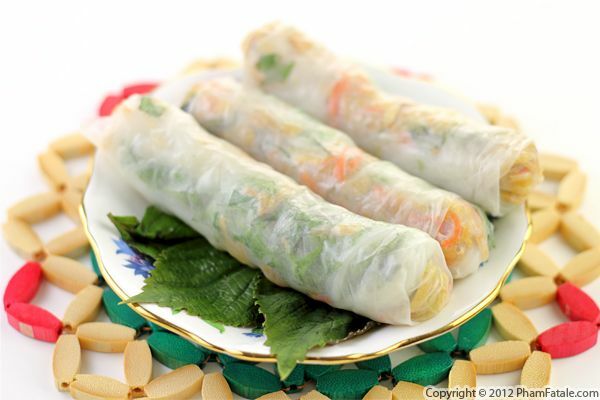 This version respects the true Buddhist vegetarian diet, which states no onion, garlic or shallots allowed. 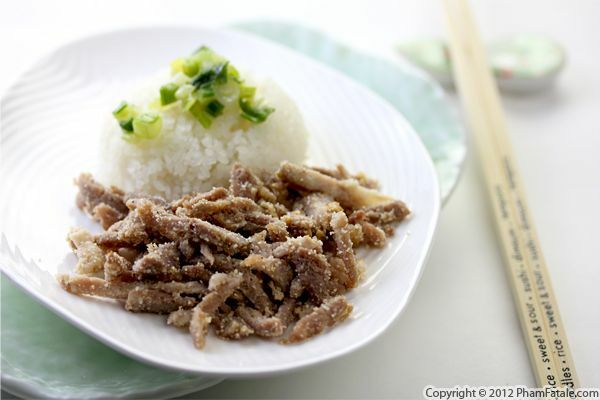 The flavors of the dish are mainly from the toasted jasmine rice ground into a fine powder, blended with very thinly shredded fried potatoes, taro, tofu and jicama. Jicama is a sweet turnip that is used quite often in Vietnamese cuisine (as well as in Mexican food) and it mimics the texture of pork skin. 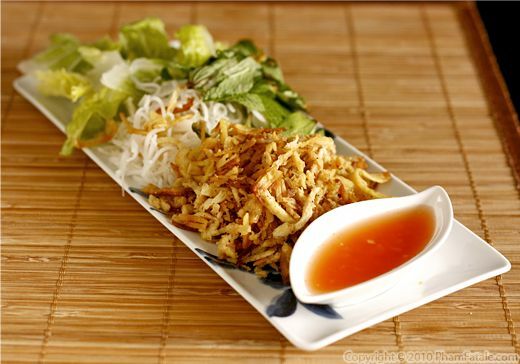 I served this tofu dish with rice noodles, aromatic Vietnamese green herbs and a soy sauce-based dipping sauce made with coconut. 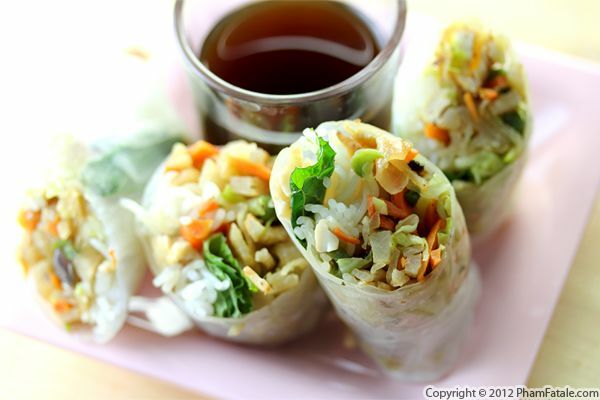 The result is a simple, refreshing dish that is packed with flavor. It just proves that with the right ingredients and cooking techniques, even food made for a restricted Buddhist vegetarian diet can be satisfying. Don't believe me? You'll have to try it to for yourself!